Need a place where you can manage all of your marketing and promotional activities from the comfort of any device? Then you've come to the right place because at Shedul, dreams do come true! Shedul's comprehensive set of marketing tools are here to help you engage with your clients. From automated Smart Campaigns to one-off Blast Campaigns, Shedul has you covered. By enabling Fresha Plus, you can manage your campaigns anywhere, anytime. Our marketing tools allow you to entice your clients to book effortlessly and pay through the app without any upfront hurdles, all the while ensuring your own time is fully protected. Shedul makes it easy to unify your CRM, Online Bookings, Promotions, and Reports all under one roof. So make sure you stand out from the crowd with Shedul's marketing campaigns. How to track Campaign Success! We recommend visiting the following two articles to help you Enable Fresha Online Bookings and to understand Fresha Plus prior to marketing. 1. 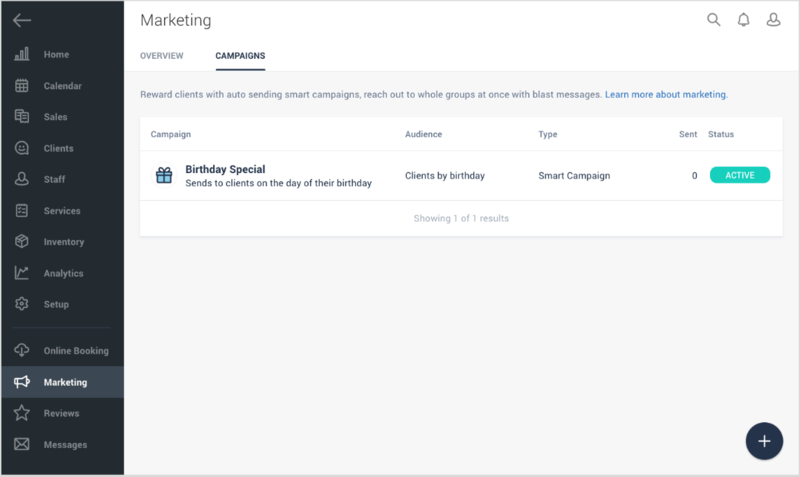 What are Smart Campaigns? 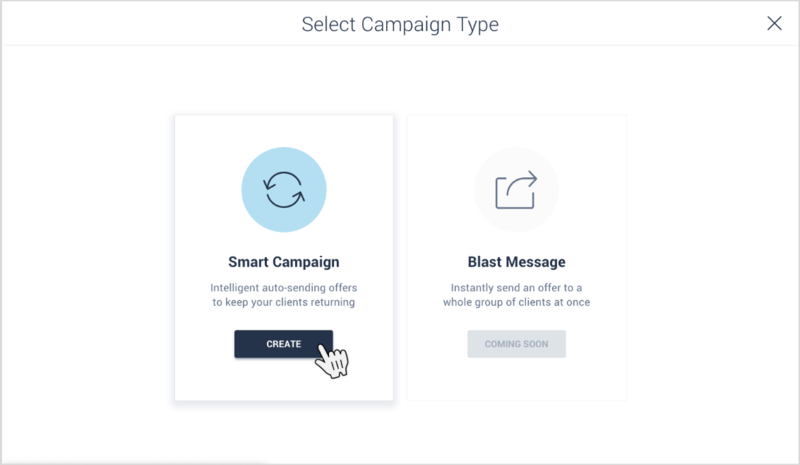 Smart Campaigns are just that, super smart. 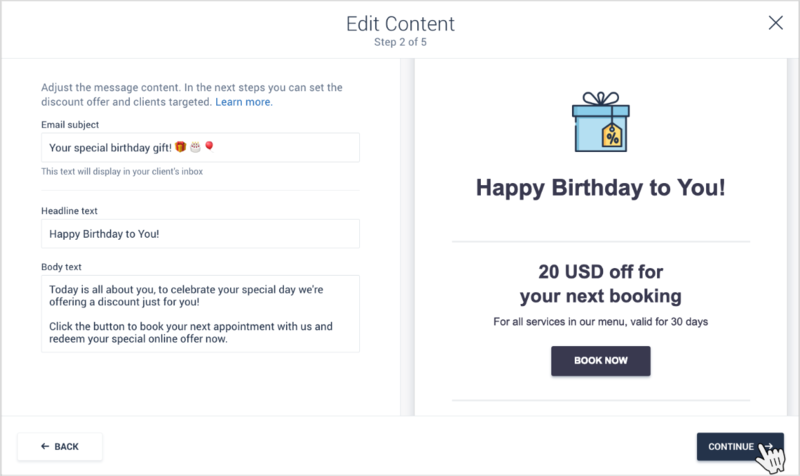 They're emails triggered by special events in your calendar, such as a client's birthday or their first booking with you. 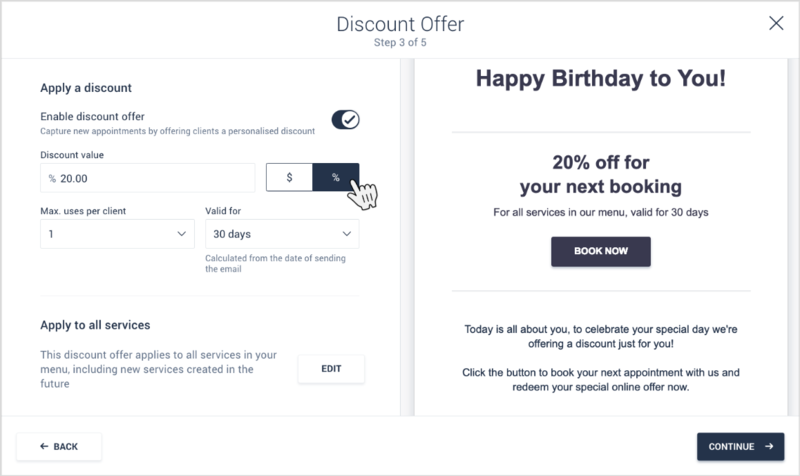 Surprise clients with a special birthday discount, entice a new customer who has just visited to return, and inspire your regular clients to make their first ever online booking. Soon you will be able to re-engage with clients who you haven't seen in a while and reward your top spenders! Creating Smart Campaigns are really easy and have been streamlined within Shedul. Congrats! 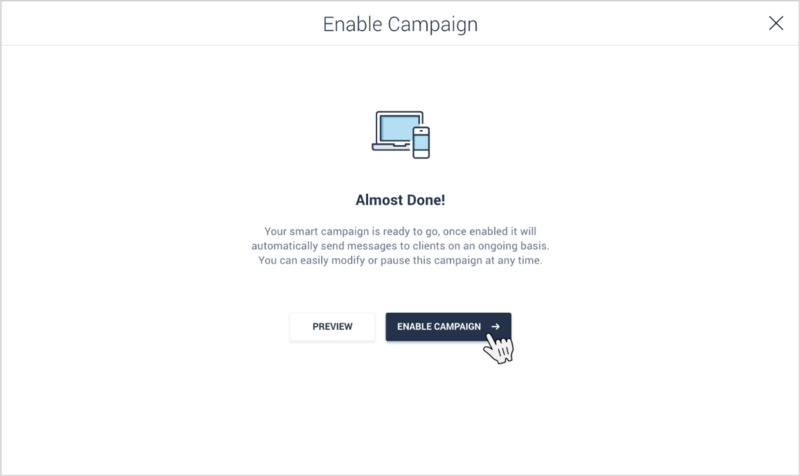 You've just enabled your first Smart Campaign! You'll see it appear as active under Marketing > Campaigns. Navigate back to your Marketing section any time to edit the campaign, change its status, or preview the campaign once more. Additional campaigns can be added using the black "+" button in the bottom right. 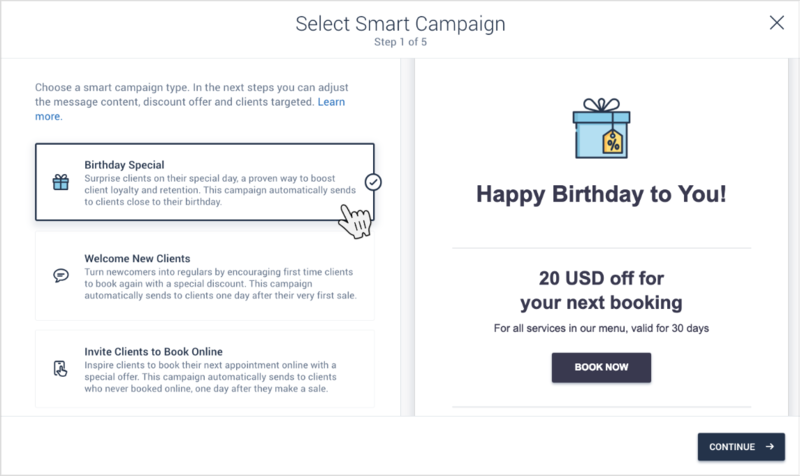 Tip: Discount offers for Smart Campaigns will maximize your click-through rate. Great campaigns get great results! Smart and effective campaigns allow you to optimize your calendar, fill your occupancy and ensure that no working hours go to waste. 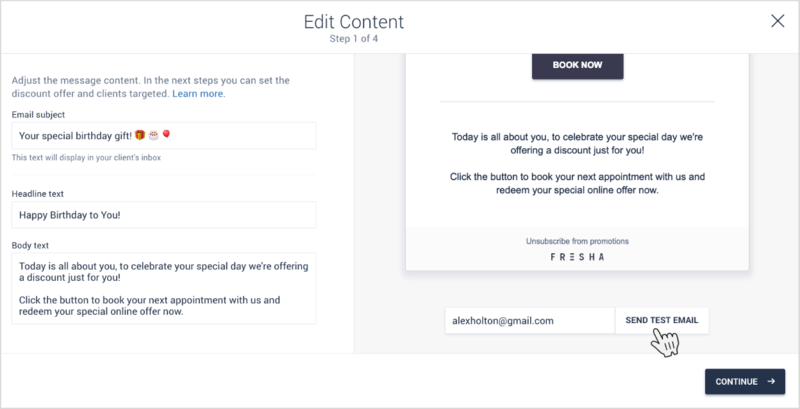 Note: Clients who receive one of your marketing emails will have the option to unsubscribe by clicking on the Unsubscribe from promotions button that appears in the footer of every email. Clients who unsubscribe will have the Accepts marketing notifications option automatically disabled from their client records. TIP: Testing your campaign at the last stage gives you a complete overview of all the changes you have made. 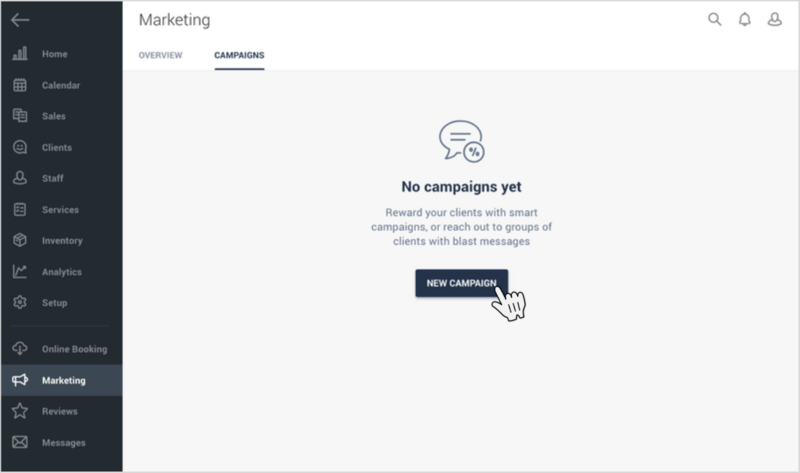 You can also click on Preview at the last stage to view your Smart Campaign email as it would appear in your client's inbox. 4. How to track Campaign Success! Tracking your marketing campaigns gives you invaluable insight into how well your campaign is working for you. There are two main areas where you can check the success of your marketing campaigns. Here you will see the results of your campaign's performance. 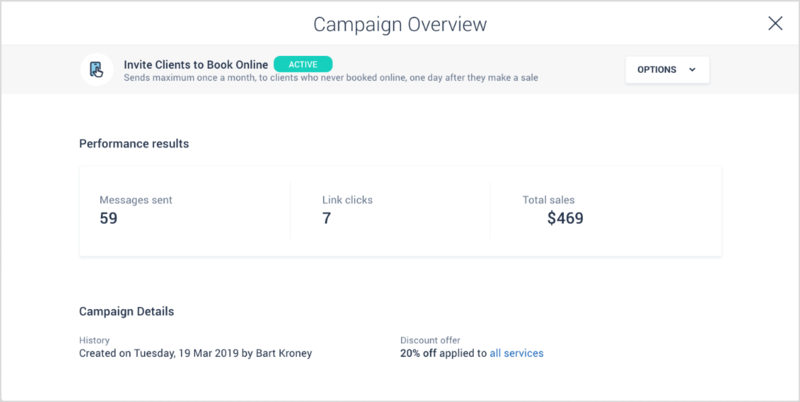 From this view, you will see how many automatic messages have been sent, how many clients have clicked on the offer; and the total sales generated. You can also view the performance of all of your marketing campaigns combined from the existing Reports section. Here you will see the sales generated from all your marketing campaigns as one total. Note: The Sales by Channel reports on the value of all sales from marketing campaigns based on the dates you have filtered. The Campaign Overview gives you the current values of that individual campaign since it was enabled.